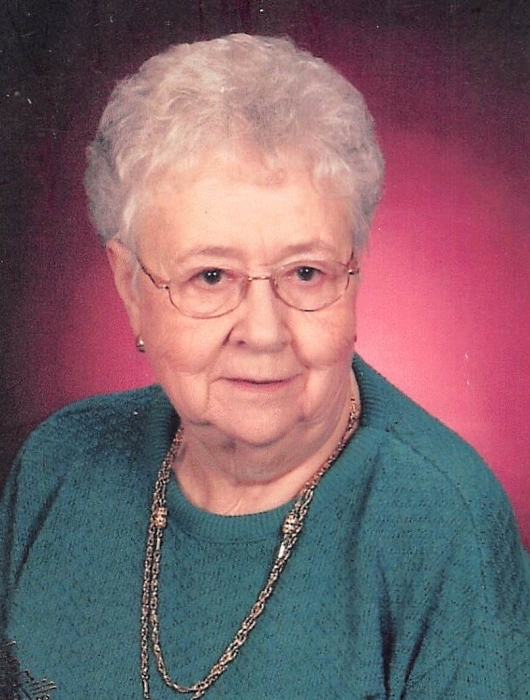 Louann Moore, 88, of Reinbeck, Iowa, passed away on Monday, February 4, 2019 at Parkview Manor in Reinbeck. Visitation will be held from 5:00 p.m. until 7:00 p.m. on Thursday, February 7, 2019 at the Abels Funeral and Cremation Service-French-Hand Chapel. A funeral service will be held at 10:30 a.m. on Friday, February 8, 2019 at the United Methodist Church in Reinbeck. Burial will follow at the Reinbeck Cemetery. Memorials may be directed to the family. Louann was born in Reinbeck, Iowa on February 21, 1930. She was the daughter of John “Jack” and Beulah (Christy) Saul. She was raised in Reinbeck and graduated from Reinbeck High School in the class of 1949. On September 18, 1949 she was united in marriage to John Moore at the United Methodist Church in Reinbeck. They welcomed three children into their family, Linda, Robert and Jack. Her husband, a long-time electrician, passed away on November 6, 2002. Louann was a life-long member of the Reinbeck Methodist Church, a member of the American Legion Auxiliary and volunteered for Cedar Valley Hospice for 19 years. She was so proud of her children and grandchildren and loved spending time with them and her many friends, cousins and classmates. She is survived by her son Jack (Jeanie) Moore; grandchildren Mike Ehrig, Brian (Heather) Ehrig, Chris (Jill) Moore, Matt (Robin) Moore, Daniel Moore and Ashley Moore; great-grandson Landon Moore; great-granddaughters Livy Moore and Kennedy Moore; daughter-in-law Deb (Mark) Oleson; niece Carol Simms; nephews Jack (Joan) Fogt, Jim (Jayne) Fogt and Jerry (Diane) Fogt and many cousins. She was preceded in death by her parents; husband John; son Bob; daughter Linda; sister June Fogt; brother John Saul and great-grandson Gabriel Michael Ehrig.